Feline animals, they are so cute and adorable – and they have got nine lives too! Well, jokes apart, cats are amongst the most-loved variety of animals in the world. Many love cats in real, while there’s a big group which is smitten by cats virtually – in digital form. Be it a kitty or a cat, feline species have made their presence felt in a lot of ways in designs and artwork. 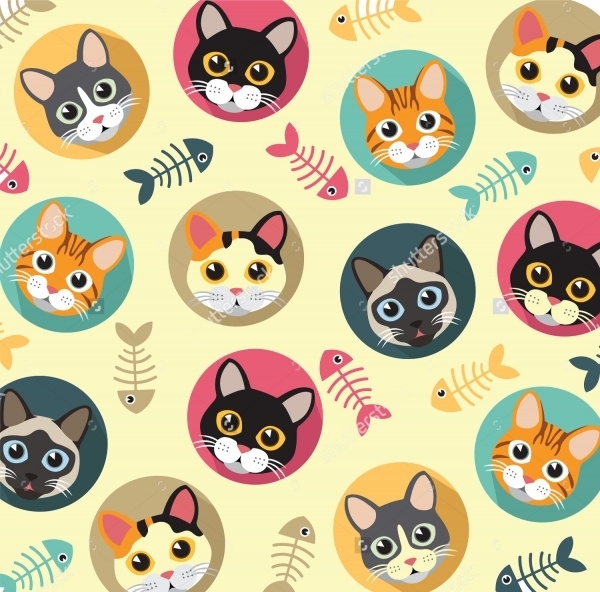 If you’re a cat lover, then you’re obviously going to love our collection of cat Fish Vectors which we have summed up for you on this page. The cat vectors are fun, furry, and absolutely fantastic! Sometimes animals beat humans hollow when it comes to facial expressions. Trust a cat to top the list. Whether or not you love cats, you’d agree cats own adorable expressions. 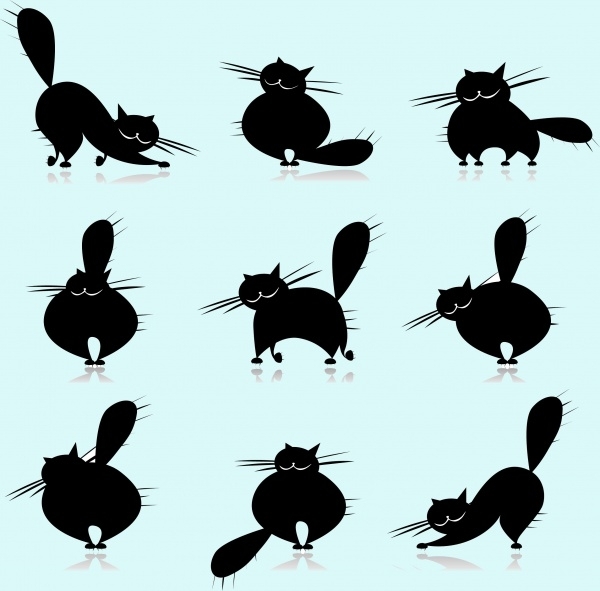 Check out this cat vector containing some really cute cat emoticons. 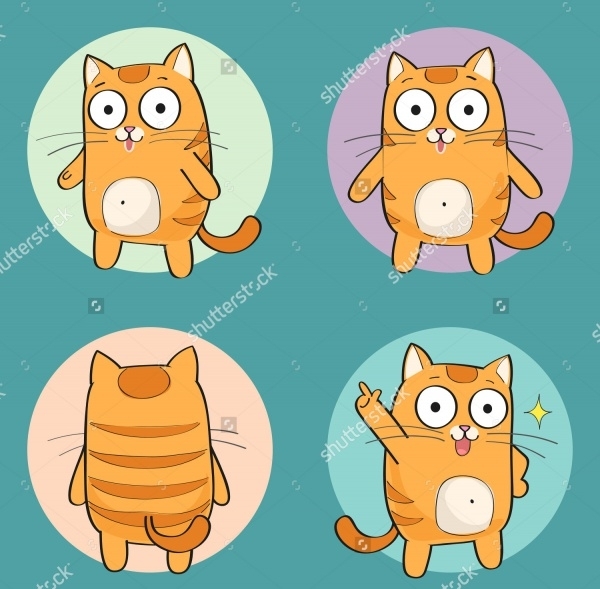 This collection contains some very cool flatly designed cutely dressed cat icons which you can freely use in your works. This vector is top quality, colorful and easily resizable. 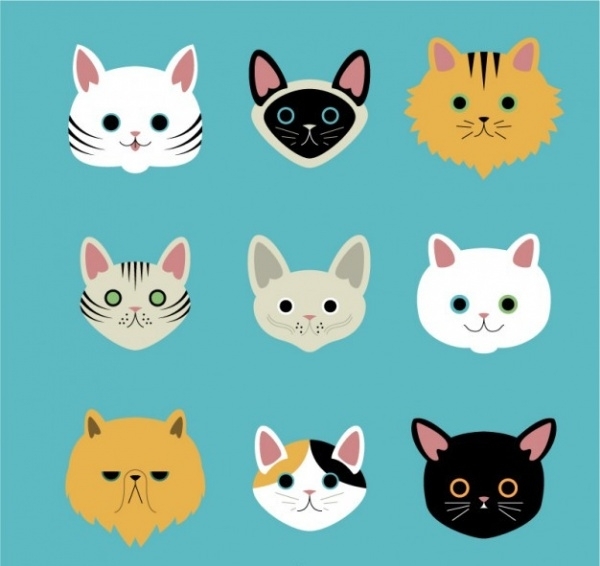 Check out this very cool cat vector contain cat heads of different cat breeds. You can use the artwork in illustrations, graphics, or resize them and make them into icons in your works. 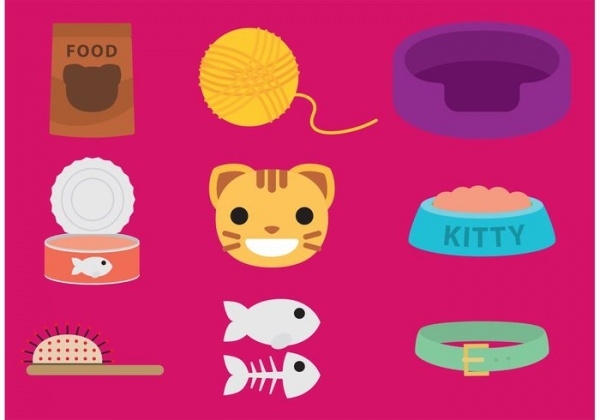 Do you have an assignment wherein you need to use cat pet icons? Well, you’ve come to the right place. 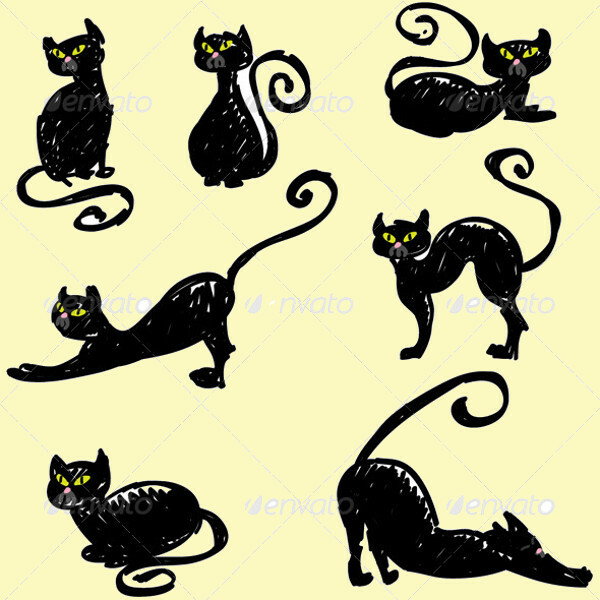 The vector over here has some very good cat pet vectors in black and white color. 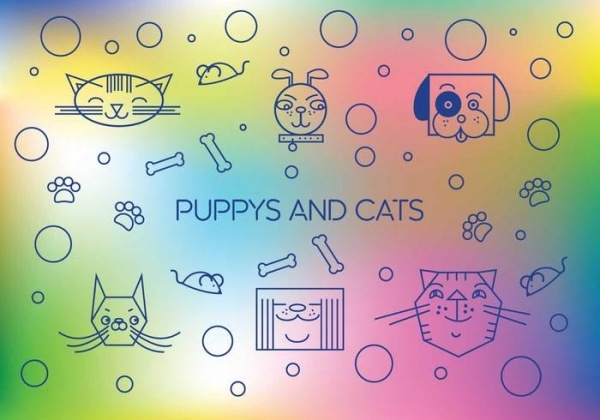 This is an absolute must have vector as it is a double whammy featuring cute cats and puppies. You can use the entire vector and create a wallpaper or background design. Even use it in fabric design, if you wish. 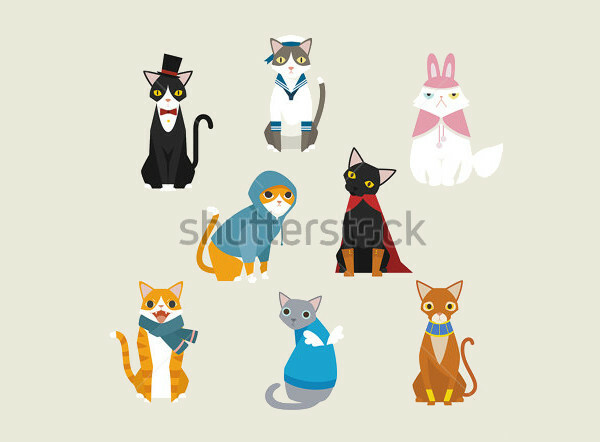 This is a comprehensive cat vector consisting of many cute cat avatars and fishbone patterns. This is a colorful vector which is ideal for illustrative design, it is high-resolution and resizable. 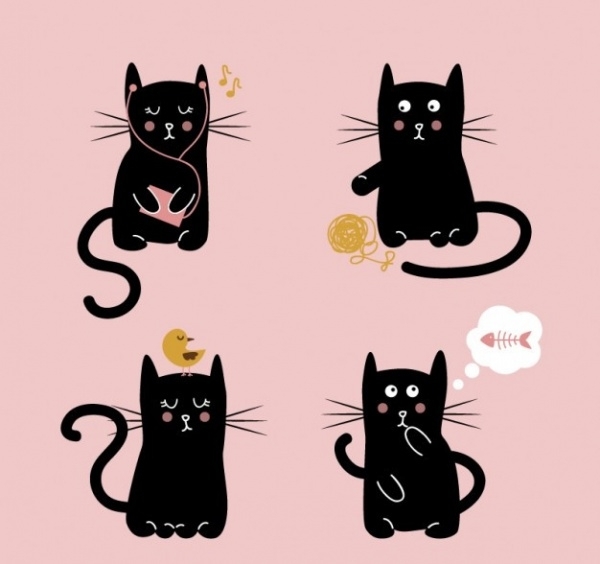 This vector has four cat images, all of the very cute and well-designed. You can use them as is or even tweak their design to create something innovative using Photoshop or any other photo editing app. 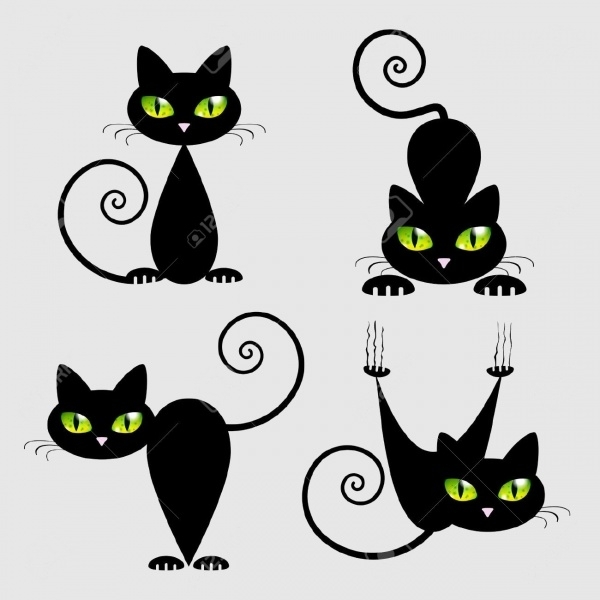 If you’re looking for a hand-drawn vector featuring cats, then you must not miss out on taking a look at this very creative and classy cat vector starring hand-drawn black cats. Here’s another alternative for black cat vectors which you could consider. The black feline animals are sitting in various cute postures, having adorable facial expressions. 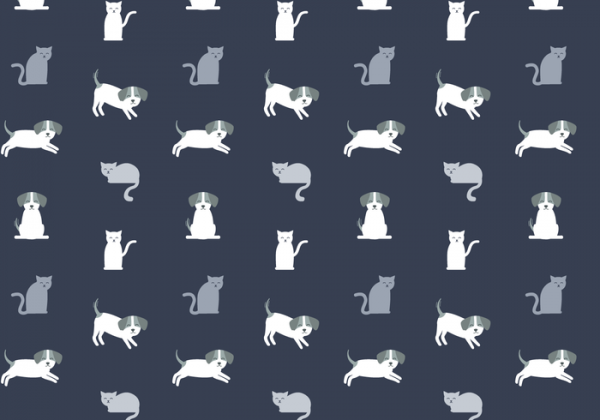 This set contains 10 black and white cat designs. 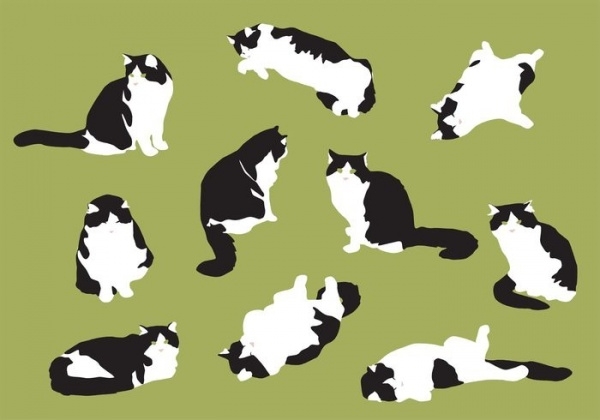 If you’re looking to draw lazy cat artwork, this set of cat vectors should assist you very well! Feline animals are great creature.You would have found all kinds of possible cat Flower Vectors on this page. 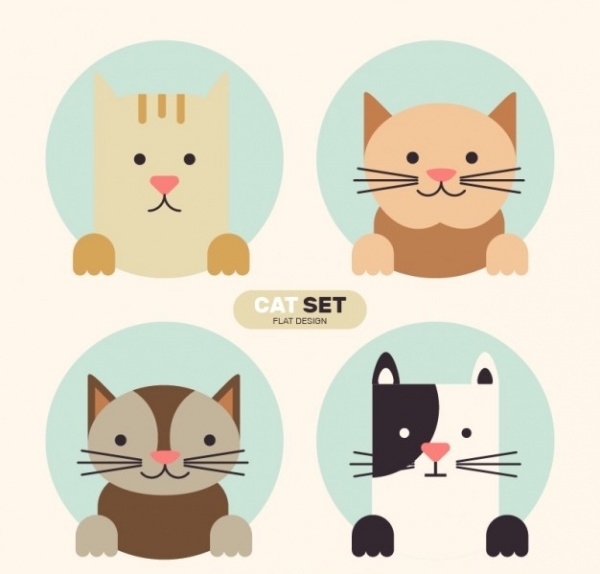 Whether bland and plain or bright and colorful, all the avatars and expressions of cats are captured in the Vectors. Use them in personal or professional works is your choice!